I am too excited that the limbo that was Summer is over! Summer is great and all, y’know, when the sun is actually shining, but year after year I find myself gushing in my September blog posts about how incredibly happy I am to welcome in the Autumn. I told you guys in Summer that I have collaborated with Walkers to try out their meringue range… and I suppose you could say that my previous recipe wasn’t overly Summery. To be honest, I’m bored of meringues being resigned to a life of strawberry toppings, because they’re so much more versatile than that! So here’s a little something different that celebrates the coming of my very favourite season! The Walkers mini meringue nests (apart from being absolutely adorable) are designed to be bitesize treats so they’re good if you’re not wanting to commit to a large dessert, or of you want to lay out a spread for snacking. 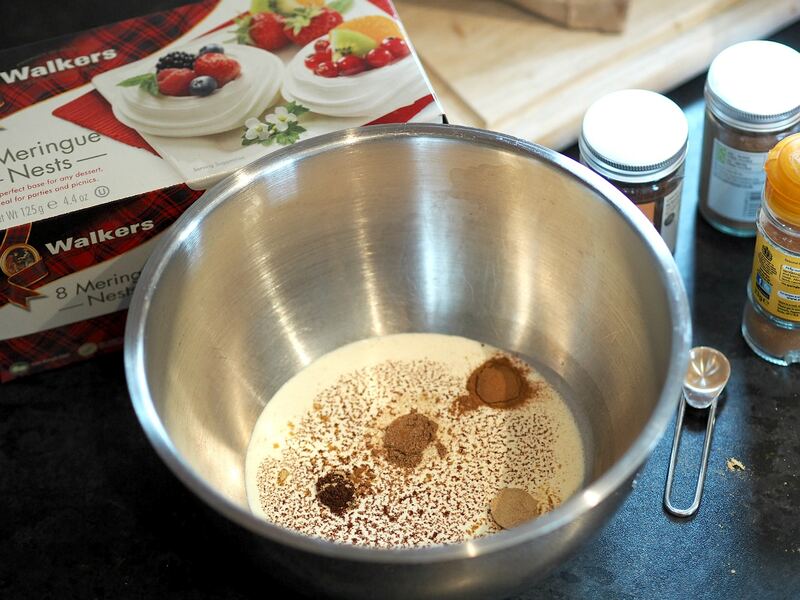 Start by whipping your cream in bowl with the spices, and place in the fridge for later. Slice your bananas at an angle to create 5mm thick slices. Heat a non-stick pan and melt the butter and sugar on a medium heat. 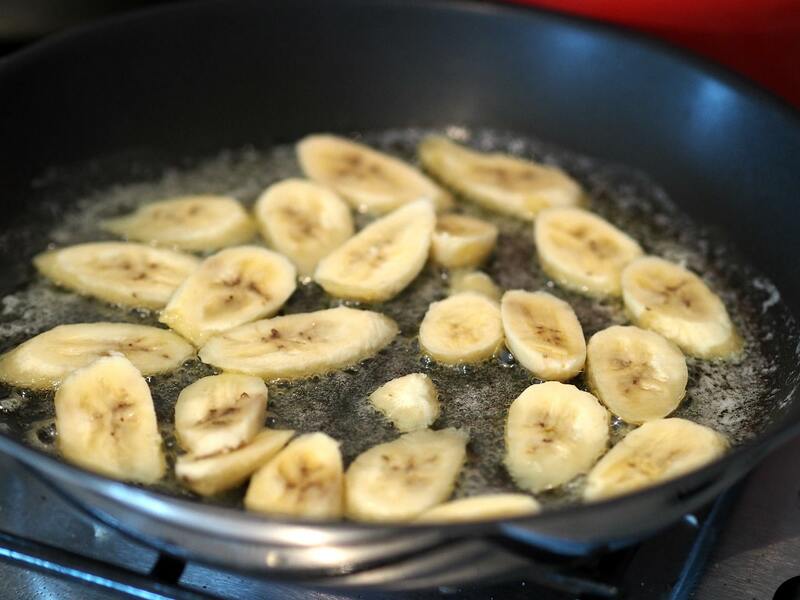 Add the bananas and leave to caramelise, flipping over after a few minutes. After 5-7 minutes they should be lovely and brown; remove and leave to cool. 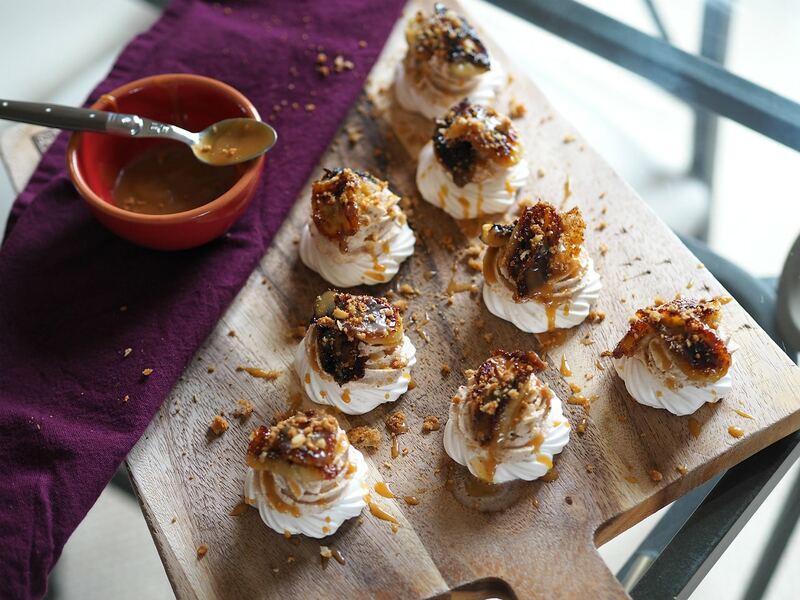 Add your spiced cream to a piping back and pipe onto the mini meringues. 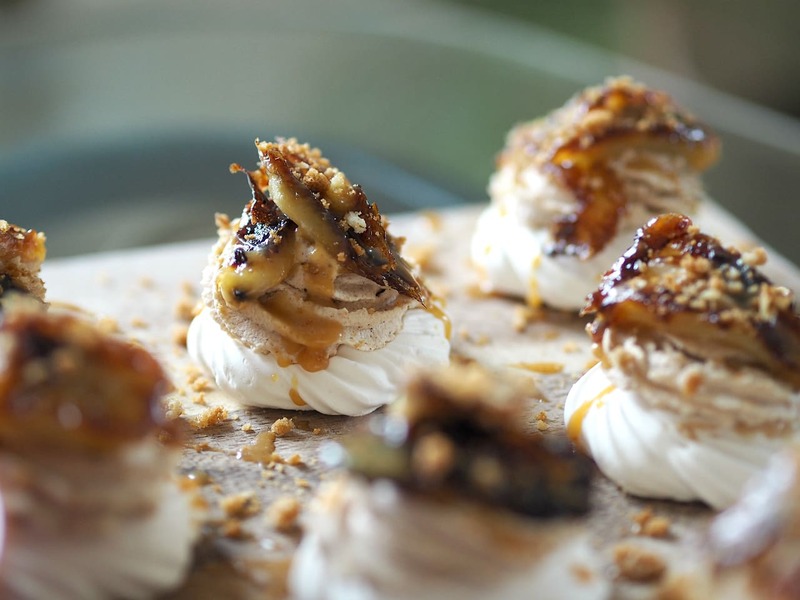 Then it’s a case of topping with all those extra goodies: a couple of slices of caramelised banana, a drizzle of caramel sauce and a sprinkle of crushed ginger biscuit crumbs. Hello Autumn! 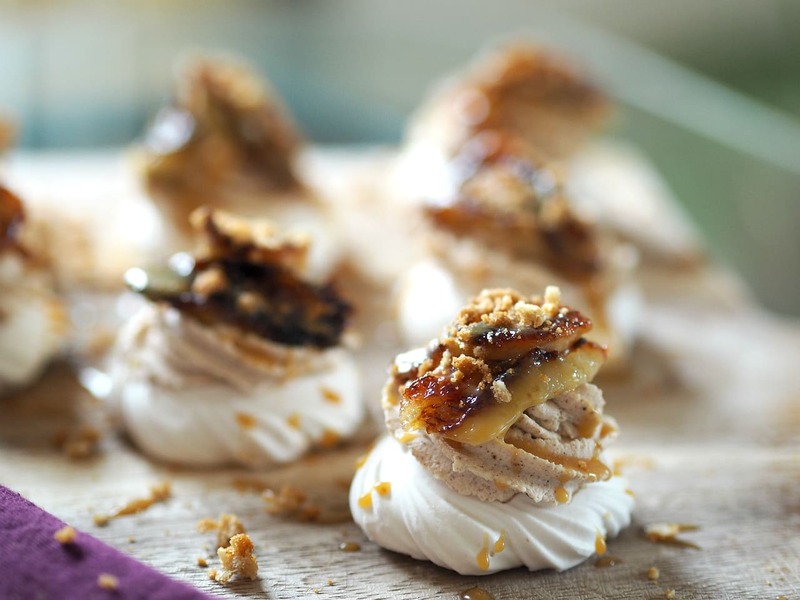 The Walkers meringues are light but sturdy so you can pile ’em high. Q and I had a great Sunday afternoon enjoying these, with some good tv and rain streaming down the widow panes. Do you love Autumn as much as I do?! Disclosure: This was a paid post. As always all words and thoughts (and recipe!) are my own.